Elegant dance performance by Maiko and Geiko on Kitano Odori!! How are you in these days? I would like to introduce our shop and festival in Kyoto! This dance performance by Maiko and Geiko of Kamishichiken Kabukai (Geiko quarters) was first held under the name of “Kitano Odori” in March 1952, in support of Manto-sai (Myriad Lantern Festival) which is held to commemorate the 1050th year anniversary of the Sugawara Michizane’s demise, a high-ranking court noble to whom Kitano Tenmangu Shrine is dedicated. The program is scheduled for 14 days from March 25 to April 7. 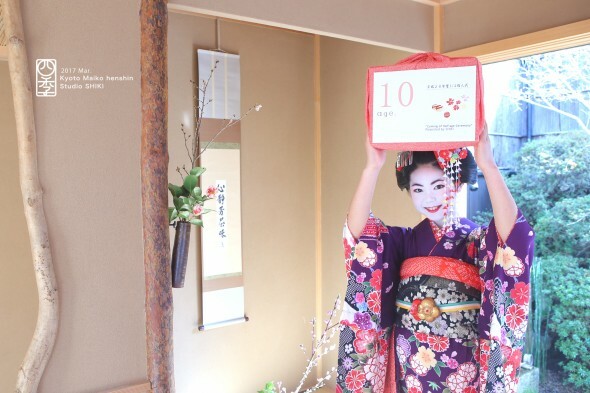 The Kamishichiken Kaburenjo Theater welcomes you to join the festivities! During the festival, there are two performances a day (1:30pm~ / 4:00pm~). It is interesting to note that there are two kinds of tickets for this festival: tickets with tea ceremony (￥4,800) and tickets without tea ceremony (￥4,300). 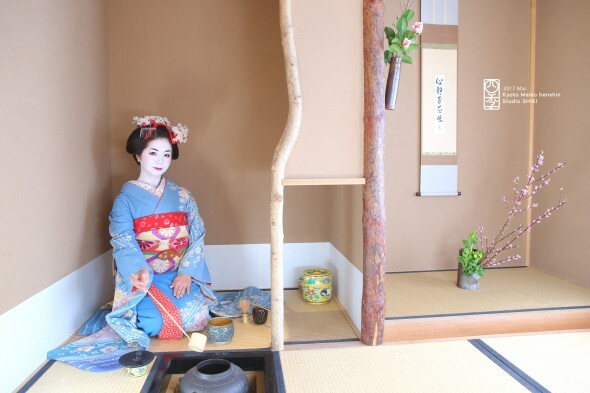 The tea ceremony starts 1 hour before each show time. 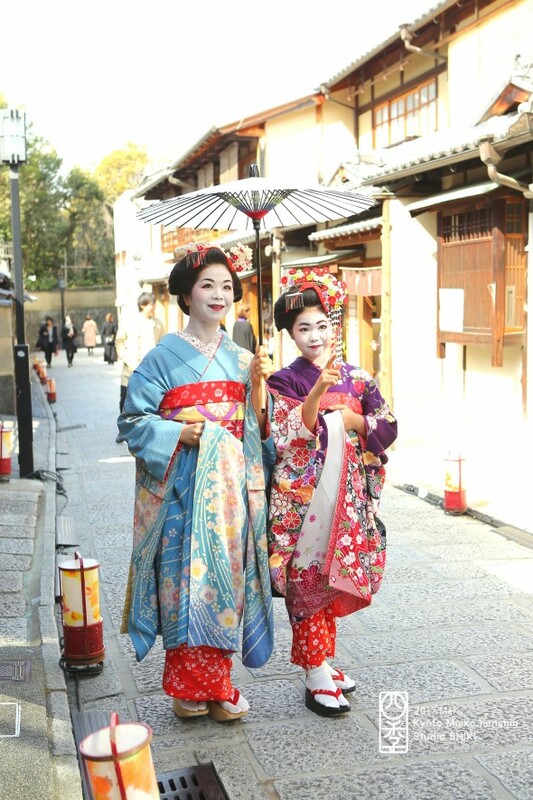 You may enjoy the tea served by Maiko and Geiko just before the show starts. If you arrive late, they will prepare a small gift instead. Each performance has three programs. The first program is a dance drama which is one of Kitano Odori’s features. The play is rich in stories and lines are used frequently as it is based on the element of drama. The second program is a folk song. Maiko performs freshly whereas Geiko shows the skillful dance on the stage. 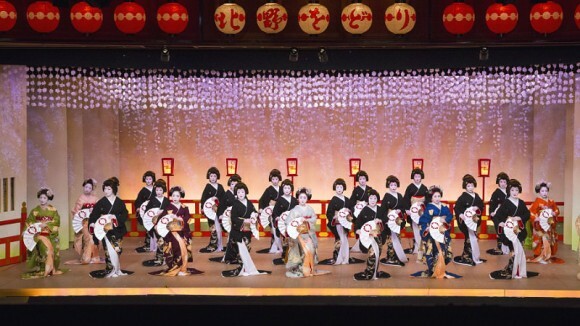 The finale is one of the popular plays called “Kamishichiken Yakyoku”. Geiko who wear black kimono and Maiko with colorful kimono would join all together. 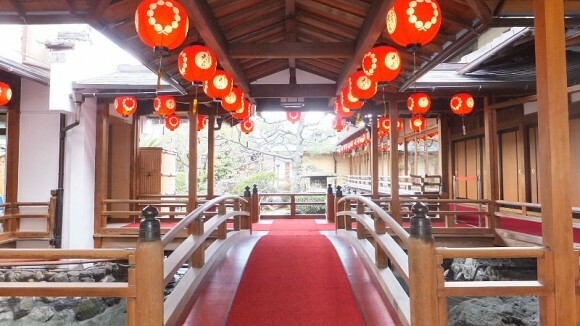 Directions 3-minute walk from Kitano Tenmagu Mae or Kamishichiken stop on Kyoto City Bus #50 or #101 from Kyoto station. Notes Please note that it is easier to purchase the ticket through your hotel concierge as the application screen on website is written only in Japanese. You can also purchase the tickets on the 2nd floor of Kyoto Station building. The tickets are available one week before the play. Friendly for Overseas Visitors Although all the programs are performed in Japanese, there is a brochure about this play in English.